High purity quartz is a vital industrial component required for use in the production of all high-end electronics applications, semi-conductors, and photovoltaic (PV) solar panels. None of these products can be manufactured without reliable supply of consistent-purity HPQ. High purity quartz has been gaining a lot of attention over the last few years. This type of high purity silica is the key raw material used in the manufacture of silica glass, a type of glass used in silicon processing and transparent UV-lamp bulbs. Increasing demand for solar energy augments the demand for high purity quartz. High purity quartz is used in several industries including semiconductor, solar, fiber optics, and lightening. High purity fused quartz, made from high purity quartz sand, offer a wide range of optical, mechanical, and thermal properties which are essential for producing several high-tech products. In terms of application, the high purity quartz market has been segmented into semiconductors, solar, lightening, optics, and others. Among these, the semiconductor segment is projected to dominate the global high purity quartz market throughout the forecast period. Increasing demand for HPQ in the semiconductor industry can be attributed to growing number of new fabrication plants (commonly called Fabs). High purity quartz is increasingly being used in the semiconductor industry to produce crucibles and quartz glass products such as windows, rods, and tubes. This factor is expected to drive the demand for high purity quartz in the semiconductor segment during the forecast period. The Paris Agreement, which was signed between more than 190 countries in 2015, calls for reducing greenhouse gas emissions and limiting the rise in global temperature to below 2?C by the end of this century. This factor fuels the global solar power sector. This, in turn, drives the global high purity quartz market. In terms of volume, Asia Pacific dominated the global high purity quartz market, accounting for a share of more than 45% in 2017. Increasing number of solar plants and fabrication plants in the region drives the market in the region. China and Japan hold a major share of the Asia Pacific market, owing to presence of a promising semiconductor industry in these countries. North America is another lucrative region of the global market, due to presence of large deposits of high purity quartz in the region. The high purity quartz market in developed countries, such as the U.K., France, the U.S., Italy, and Spain, is estimated to register a low market attractiveness index during the forecast period. The report analyzes and forecasts the high purity quartz market at the global and regional levels. The market has been projected in terms of volume (tons) and value (US$ Mn) for the period from 2018 to 2026. The study includes drivers and restraints of the global high purity quartz market. It also encompasses the anticipated impact of these drivers and restraints on the demand for high purity quartz during the forecast period. The report highlights opportunities in the market at the global and regional levels. The report comprises detailed value chain analysis, which provides a comprehensive view of the global high purity quartz market. The Porter’s five forces model has also been included to help understand the competition landscape of the global high purity quartz market. 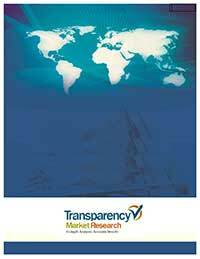 The study encompasses market attractiveness analysis, wherein application segments have been benchmarked based on their market size, growth rate, and general attractiveness. The study provides a decisive view of the global high purity quartz market by segmenting it in terms of application and region. These segments have been analyzed based on the present and future trends. Regional segmentation includes the current and forecast demand for high purity quartz in North America, Europe, Asia Pacific, Latin America, and Middle East & Africa. The report also covers individual application segments of the market in every region. The study includes profiles of major companies operating in the global high purity quartz market. Key players profiled in the report include The Quartz Corporation, Sibelco, Jiangsu Pacific Quartz Co., Ltd., Momentive Performance Materials Inc., High Purity Quartz Pty Ltd, Russian Quartz, I-Minerals Inc., Creswick Quartz, and Nordic Mining ASA. Market leaders are engaged in strategic pricing and product improvement in order to increase their profit margins. The report provides size (in terms of volume and value) of the global high purity quartz market for the base year 2017 and forecast for the period between 2018 and 2026. Market numbers have been estimated based on application and regional segments. Market size and forecast for each application segment have been provided for the global and regional markets.